A Happy New Year, with a Finnish Canadian Beauty! Hope you all had a great start into 2017! 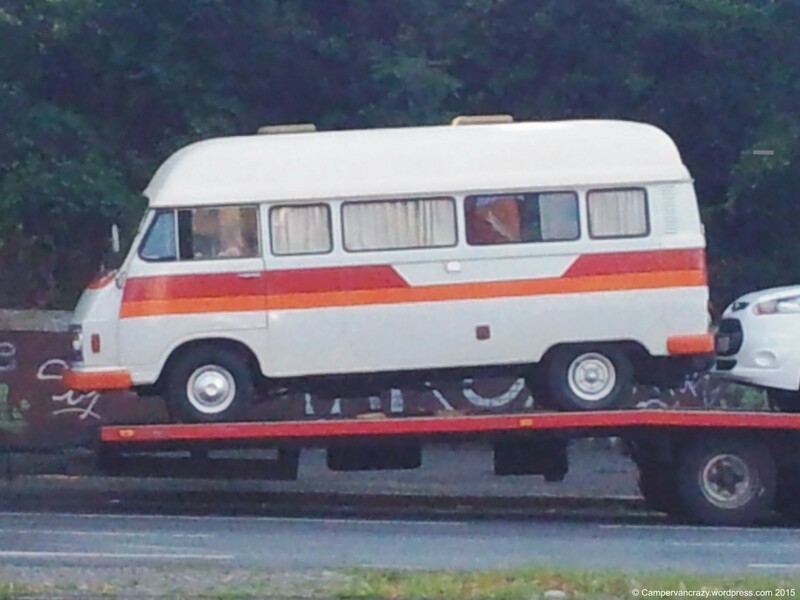 Here comes a wonderful bus spotted during a ten-day-vacation in Finland in July 2016. We spent the first week on the southern coast near the small town of Porvoo. Flying to Finland and taking a rental car turned out to be cheaper than doing the trip from Berlin with our kombi, and the two-day drive through Poland and the Baltic countries would have been unfair towards our one-year-old. So we cruised through Finland in a boring but comfortable Toyota Auris station wagon. I spotted the early bay window below in a driveway of a house on one of the trips around Porvoo. 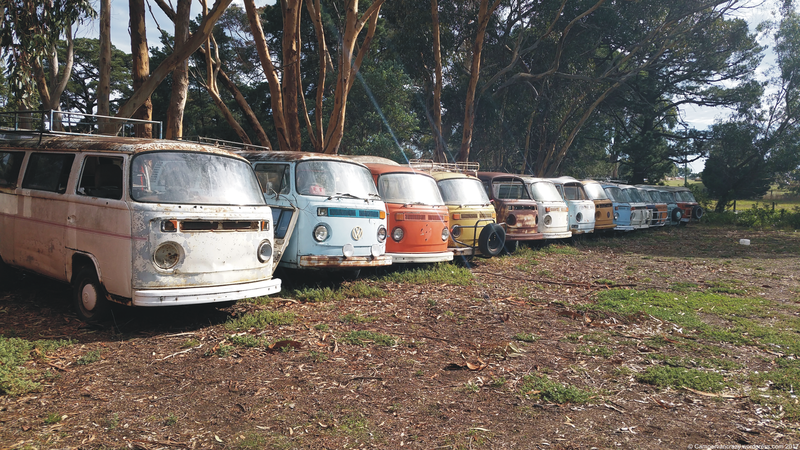 The owner kindly interrupted his dinner and came out for some kombi talk. It is a 1971 T2a which he imported from Canada some years ago. 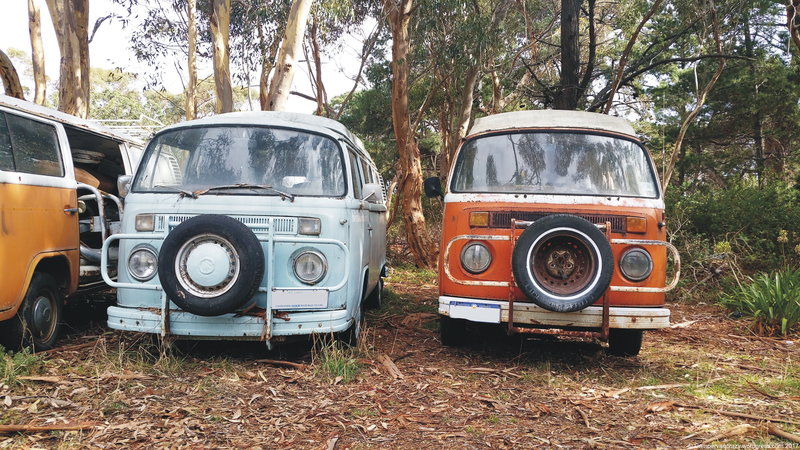 The campervan cionversion is all original Westfalia. 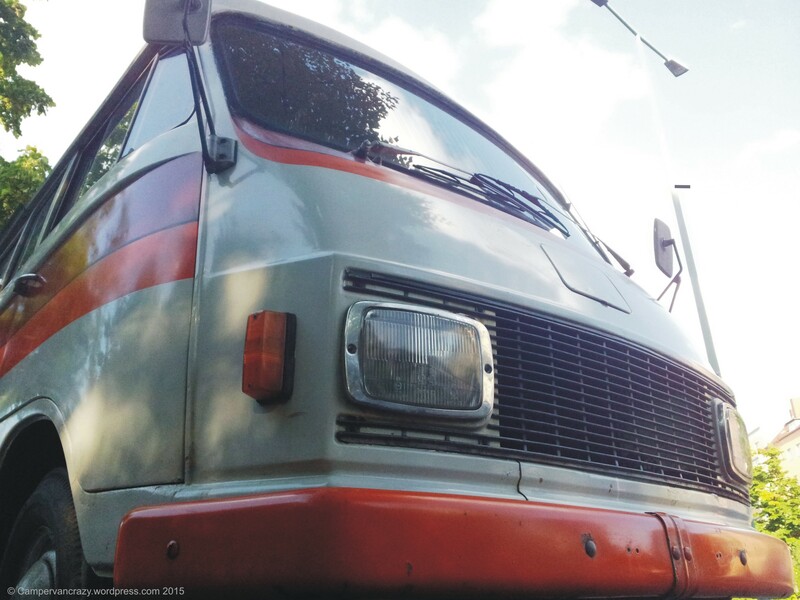 The air inlets at the back (not crescent-shaped any more) and the larger rear lights show it is actually already one of the T2a/T2b hybrids which were built around 1971/72. The color is most likely Sierra yellow (VW color code L11H). Extra side indicators only in the back, not the front. Thought so far that models for the US had both – perhaps Canada was different. This beauty made my evening back in Finland. Hope you enjoy it, too! 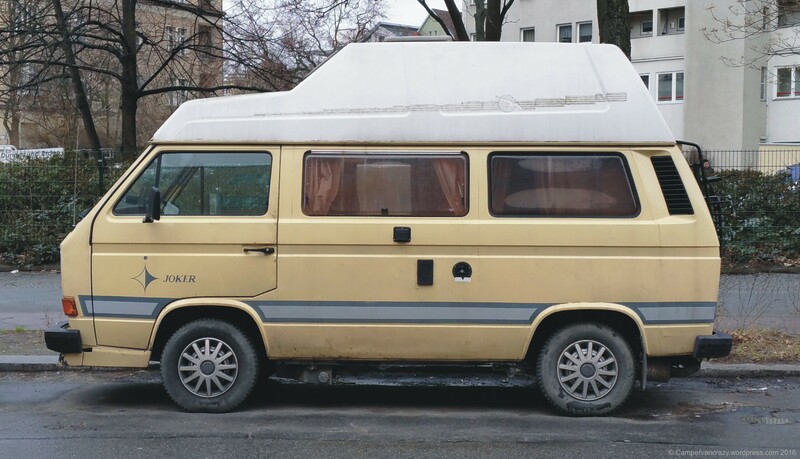 Here is another beautiful van from the Berlin Bus Festival 2016. 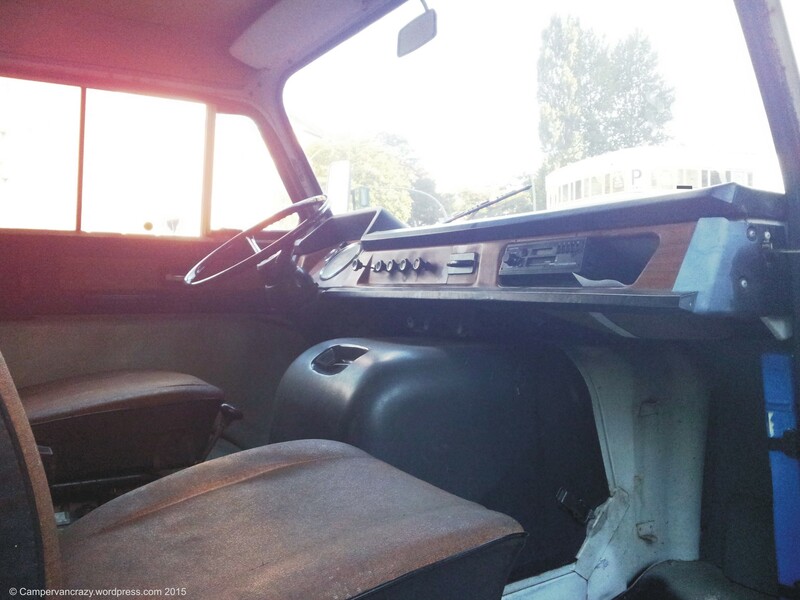 It is an early bay window (or T2a) Westfalia campervan from 1969. I learnt a bit about its history when I had a chat with the owner, a friendly elderly gentleman. 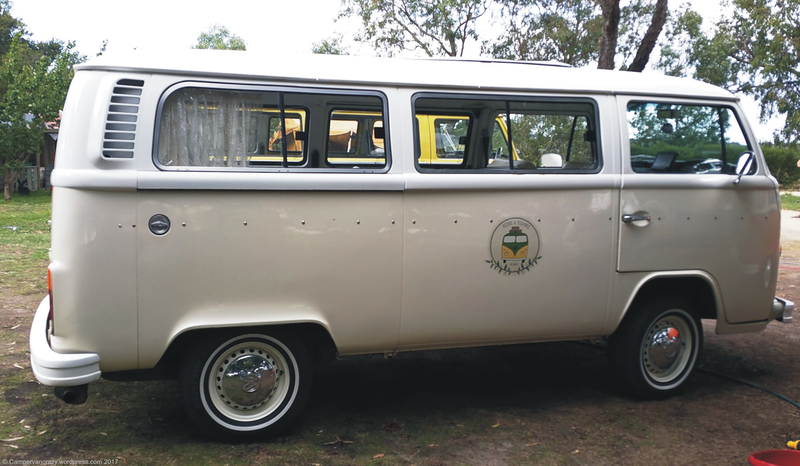 The bus was originally built for the US market and also exported to the US. From the paper work he found in the bus, he thinks it was brought to Germany in 1972 by a student from the US who used it to tour Europe. 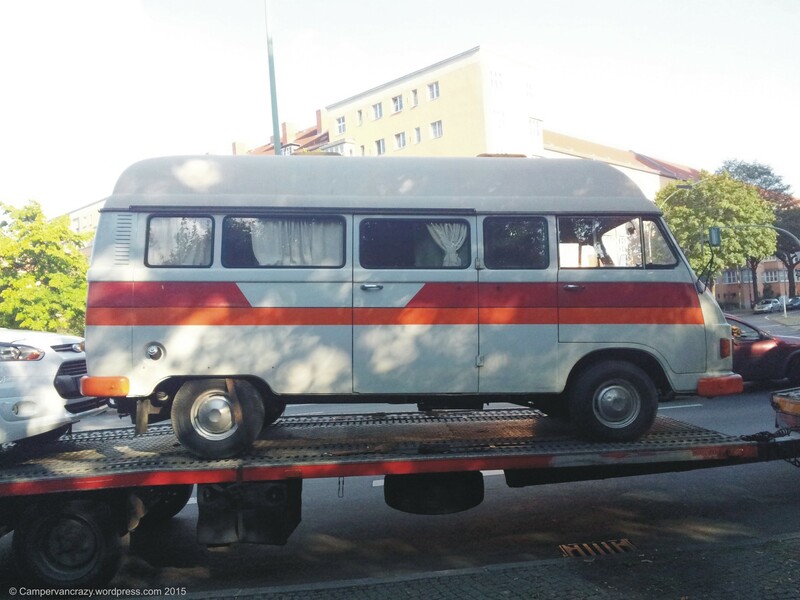 It probably broke down in East Germany – I guess not necessarily a standard tourist destination for an American tourist in the seventies, as you had to apply for visas etc. to get behind the iron curtain. 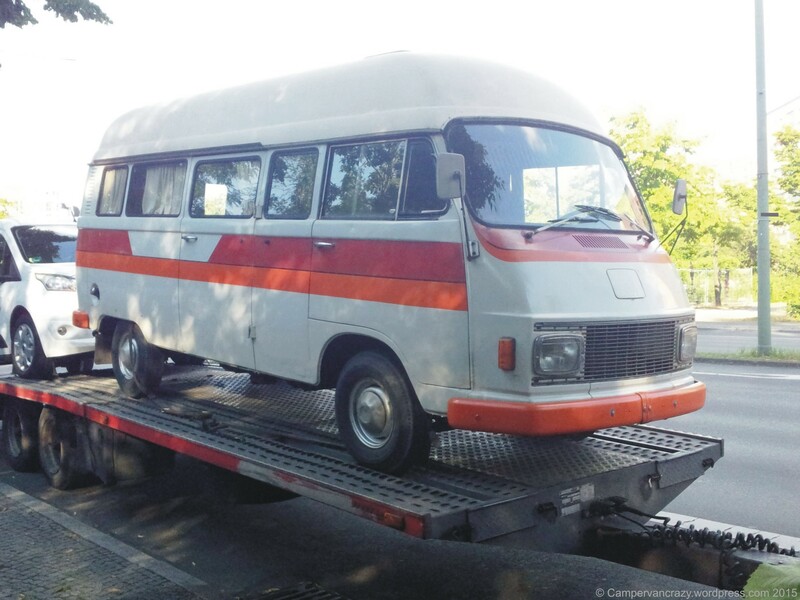 The bus then stayed in East Germany, changed hands three times in the seventies or early 80ies until in 1982 the current owner bought it in East Berlin. He said it was quite run down at that time and needed a lot of repair, which was hard work, with very limited access to spare parts from West Germany. Seven years later the wall came down, and another 27 years later he still owns the bus and proudly keeps it running. What an amazing history! A couple of interesting details: A sticker in the driver’s door indicates the bus was once maintained by Herb’s Garage in Newark, Delaware, southwest of Philadelphia. The label on the electricity inlet is in English (and expects 110 V instead of 240V) and the speedometer is in MPH instead of km/h, but interestingly the reminder on the steering wheel attachment, below the speedo, is in German (“Fahren nur mit verriegelter Schiebetür” / “Drive only when sliding door is locked”). The original middlewave/MW radio is still in its place in the dashboard. 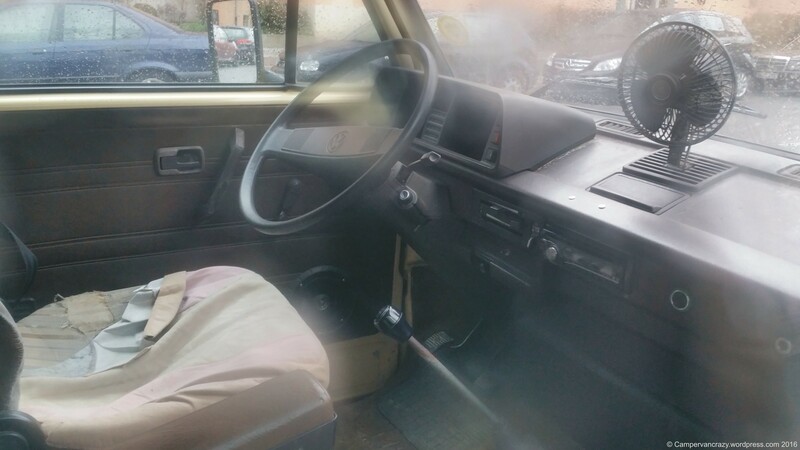 A more useful FM radio is installed below the dashboard. Stick-on headrest for the driver – I actually remember those from a Lada when we were visiting friends in East Germany in the 1980ies! 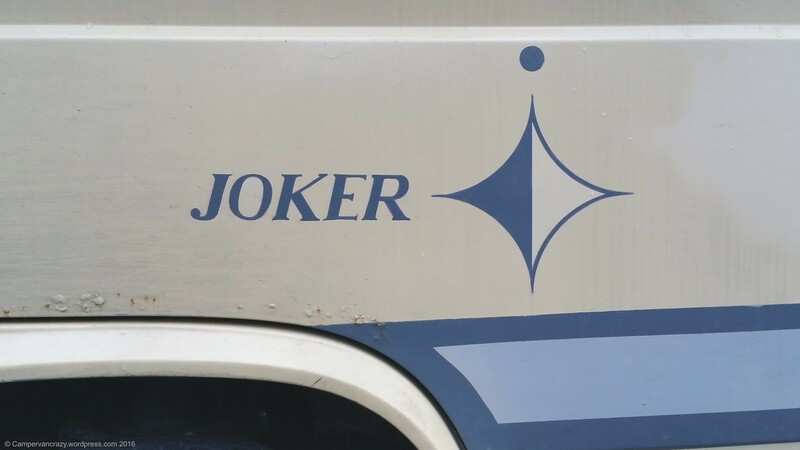 The back indicators looked unusual. Turns out they are made in GDR (label “DDR Ruhla”) and in fact are the front indicators of a late model Trabant, the prototypical East German car. The additional rear fog and reverse lights may also be of East German origin, then. We are back in Germany, so no more Australian Soprus or Sunliners. 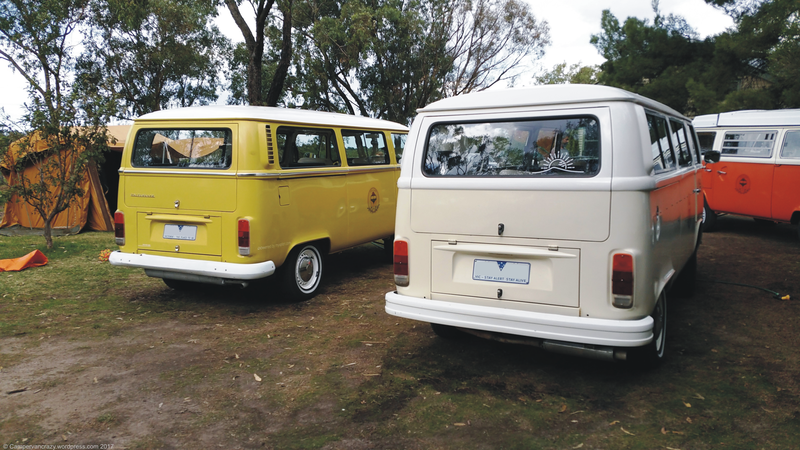 Westfalia is again the dominant camper van conversion, if you lucky to see a bay window bus on the road at all. Here is a particularly beautiful example, spotted last October in Berlin, when walking wonder-daughter home from Kindergarden. 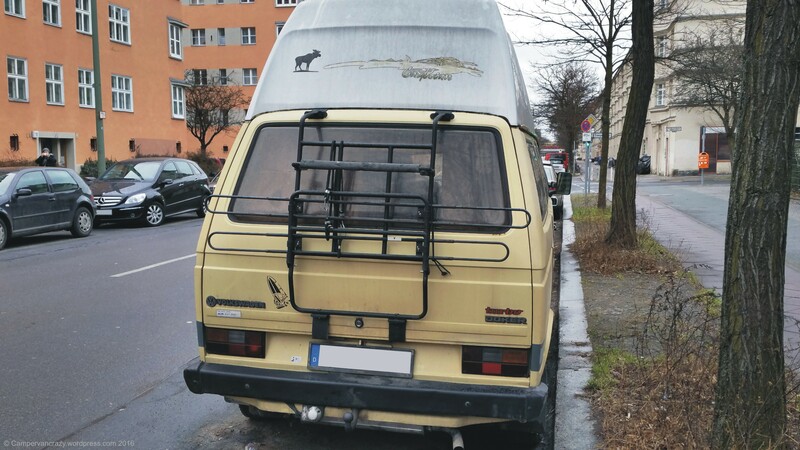 It comes with a Late Bay Westfalia fold-up roof with an additional roof rack on the top. FIAMMA Carry Bike bike rack on the rear door, same we have for our Taiga Lily. Beautiful fresh paint job in authentic 1970ies sage green (Taiga Grün, L63H). Advertising for “Bushaltestelle.berlin” (German for Bus Stop Berlin) – look at this, another VW bus specialist garage in Berlin! Beautiful green Westfalia plaid seat covers on all seats and benches. Original-looking Westfalia kitchen block. Left side with a louvered or jalousie window in the middle (looks old/original) and a sliding window in the rear (probably newer version, added later). 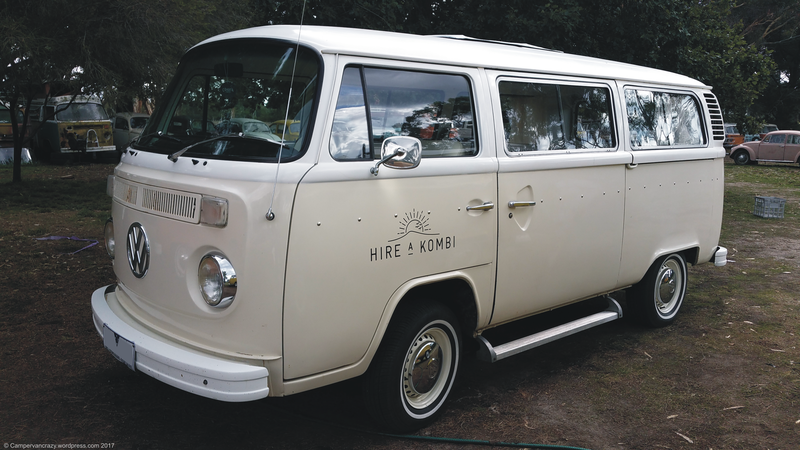 I admit I am slightly biased when it comes to sage green kombis, but this is a fantastic bus! PS: Small world, and small Berlin: Met the owner of this very same bus two years ago when we parked next to him at a local DIY market, for a sage green family meeting. 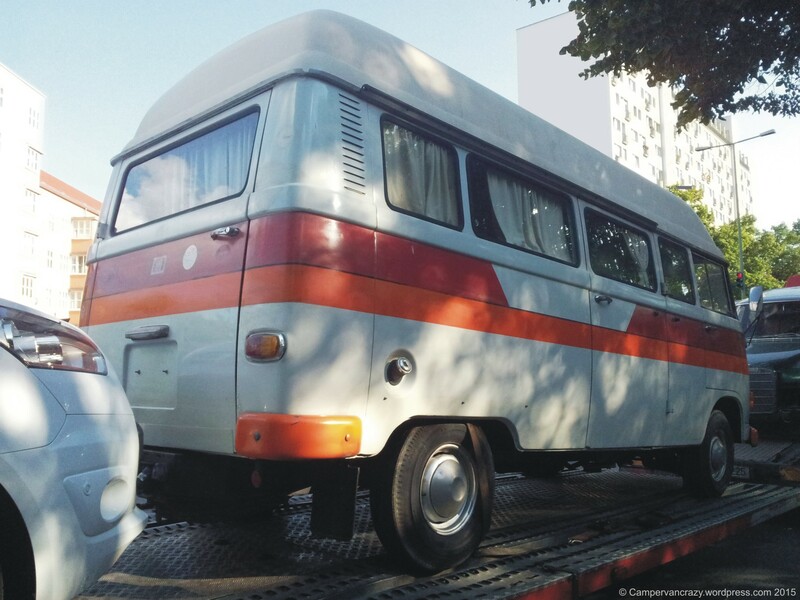 Here comes another one of these old machines: I assume the basis of this vintage camper is also a Mercedes 206 or 207, produced between 1970 and 1977, like the one I posted yesterday. 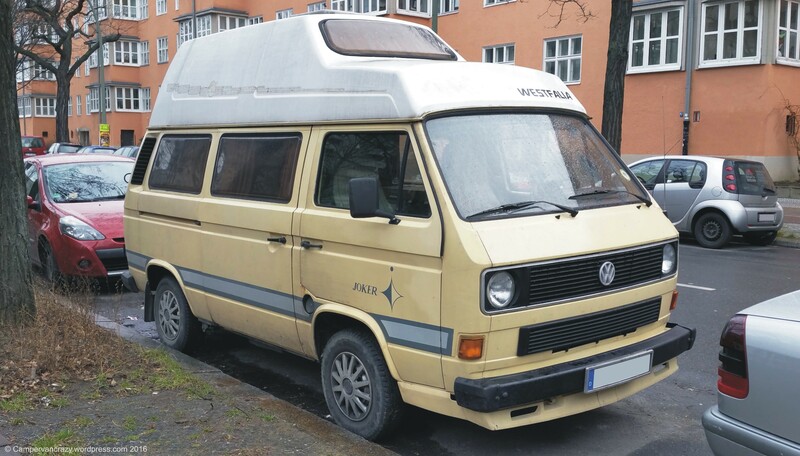 This one parked last October around the corner from our place here in Berlin. I talked a bit to the truck driver: Seems it was just purchased by a new owner and was now on its way to its new home in South Germany. 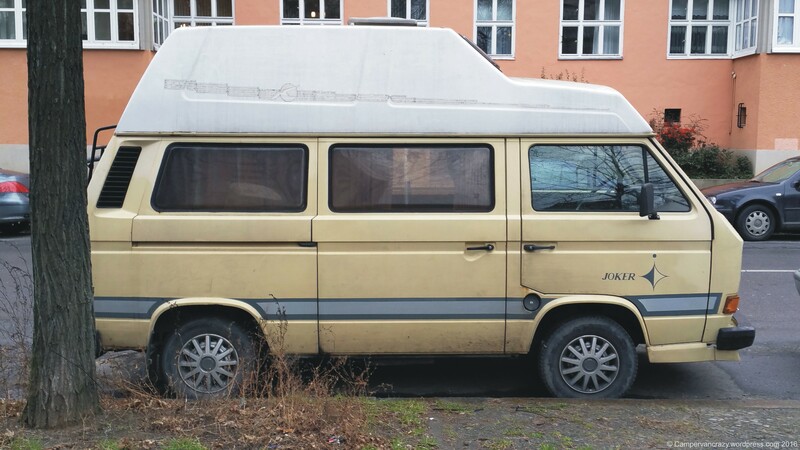 In addition to the groovy 1970s color scheme this one is apparently an original Westfalia conversion of which just a handful still exist. It needs a lot of restoration, with rust present around the wheel houses and probably in many other places. 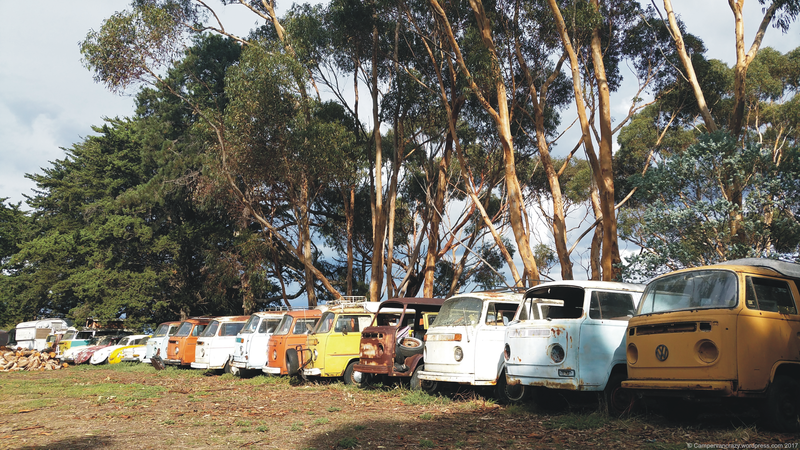 But when it will be done, someone will own a quite unique campervan!